The German record label M.i.G.-Music brings us the sound and music of Planxty's twilight days, as recorded live in concert at Bremen University in 1979. In 1972, Irish singer and guitarist Christy Moore teamed up with his schoolmates Dónal Lunny (bouzouki), Andy Irvine (mandolin, bouzouki) and Liam O'Flynn (uilleann pipes) to record his second album "Prosperous". This was the nucleus of the innovative Irish folk band Planxty (named after a technical term for many of the pieces from the Irish baroque harpist Turlough O'Carolan), which should revolutionize the sound of Irish folk music in the eyes of many trad connoisseurs. 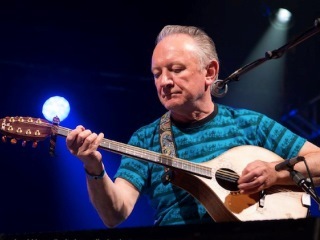 In the following years there were numerous line-up changes; the original ensemble got back together in 1978, supplemented by the flutist Matt Molloy, who had played with Dónal Lunny in the Bothy Band. Planxty went on an extended European tour, where they also stopped at Bremen University on April 24, 1979 and Radio Bremen recorded the concert. As you can hear, Planxty 2.0 has lost none of its original spirit and energy. In addition to the Planxty hit of the first hour, the popular child ballad "Raggle Taggle Gypsy" plus the waltz "Tabhair Dom Do Lámh" by the harpist Ruairi Dall Ó Cathain (the combination of a song with an instrumental piece was then new and outrageous), and Barney Rushe's lyrical ballad "Nancy Spain", recorded by Christy Moore on his 1976 and 1983 solo albums, we get tracks from the fourth Planxty album "After the Break" recorded in June 1979: songs Like "The Pursuit Of Farmer Michael Hayes", "The Rambling Boys Of Pleasure", "The Good Ship Kangeroo" and "The Rambling Siuler", the jig set "East Of Glendart / Brian O'Lynn / Pay The Reckoning" and the reel set "The Blackberry Blossom / Lucky In Love / The Dairy Maid", as well as the Bulgarian dance "Smeceno Horo", which Andy Irvine had collected in his time in the late 1960s in the Balkans. The reel set "The Humours Of Carrigaholt / The Chattering Magpie / Lord MacDonald's" appeared in slightly different form on the digital CD release of "After the Break", as well as the anti-war broadsheet ballad "The Bonny Light Horseman" from the Napoleonic Wars. The slip jigs "Ride A Mile / Hardiman The Fiddler / The Yellow Wattle" were never recorded by Planxty in the studio, but recently reappeared in the repertoire of Usher's Island (including Andy Irvine and Dónal Lunny). In the early 1980s, Matt Molloy left the band and joined the Chieftains. Dónal Lunny and Christy Moore focused on their new group Moving Hearts, or like Andy Irvine and Liam O'Flynn on their solo careers. 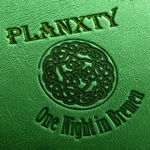 The original constellation of Planxty briefly came together again in 2003-2005. However, the death of Liam O'Flynn this March has now ended Planxty's existence once and for all. 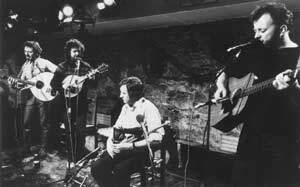 Planxty is an Irish folk music band formed in January 1972, consisting initially of Christy Moore (vocals, acoustic guitar, bodhrán), Andy Irvine (vocals, mandolin, mandola, bouzouki, hurdy-gurdy, harmonica), Dónal Lunny (bouzouki, guitars, bodhrán, keyboards), and Liam O'Flynn (uilleann pipes, tin whistle). They quickly revolutionized and popularized Irish folk music, touring and recording to great acclaim. Subsequently, Johnny Moynihan, Paul Brady, Matt Molloy (flute), Bill Whelan (keyboards), Nollaig Casey (fiddle) and, briefly, Noel Hill (concertina) and Tony Linnane (fiddle) were also temporary members. 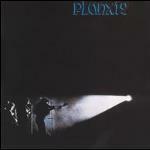 Planxty broke up twice, first in December 1975 and again in April 1983. The original quartet reunited in October 2003 and their final performance (to date) was on 31 January 2005. Christy Moore and Dónal Lunny had been friends since school days in Newbridge, County Kildare, Lunny having taught Moore how to play both guitar and bodhrán. Before the formation of Planxty, Lunny had been playing in a duet with Andy Irvine after the latter's return from Eastern Europe and they had also launched their own folk club, downstairs at Slaterry's, called The Mugs Gig. Liam O'Flynn was playing in public and on the radio, and was well respected in traditional folk circles. All members were familiar with one another’s work to varying degrees, but were first brought together during the summer of 1971 to record Moore's second solo album, Prosperous, at his sister's house, in the village of the same name. In January 1972, the four joined forces to form Planxty, recording their first single, "Three Drunken Maidens"/"Sí-Bheag, Sí-Mhór", in Trend Studios on 18 January 1972. The band performed on RTÉ's The Late, Late Show the following Saturday, and played their first show on 6 March, a 30-minute set at The Mugs Gig on a bill that included balladeer Paddy Reilly. They then assumed a weekly residency at The Mugs Gig, began rehearsing, and started playing live around Ireland. The group's first major performance–opening for Donovan at the Hangar in Galway, at Easter 1972–was a huge success. Neither the audience nor the band knew what to expect, and both were pleasantly surprised. Irvine, unable to see the audience through the glare of the stage lights, was worried that the crowd might be on the verge of rioting. It took him several minutes to realize that what he was hearing was the expression of their enthusiasm. A rough quality recording of the song "Raggle Taggle Gypsy" from this concert was included on the 2004 retrospective, Christy Moore – The Box Set: 1964–2004, complete with the audience's reaction. Planxty’s first single, "Three Drunken Maidens", was released by their manager Des Kelly’s label, Ruby Records, reaching no. 7 in the Irish charts. The next single, a re-recording of "The Cliffs of Dooneen", previously recorded for the Prosperous album, made it to no. 3. Two full albums followed: Planxty, recorded at Command Studios in London during September 1972, and The Well Below the Valley, recorded at the Escape Studios in Kent, from 18 June 1973. The group’s increasing popularity led to heavy touring throughout Ireland, Britain, France, Germany, Italy, Spain and northern Europe. Tired of constant touring and wishing to explore other musical avenues, Lunny left Planxty at the start of September 1973, playing his last gig with the band at the Edinburgh Festival. He would eventually end up a member of The Bothy Band. 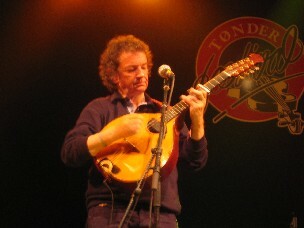 Johnny Moynihan, who had played with Irvine in Sweeney's Men, joined at this point, playing mandolin, bouzouki, fiddle, tin whistle and singing. This line-up, with contributions from Lunny, would record Planxty’s third album, Cold Blow and the Rainy Night in Sarm Studios, Whitechapel in London during August 1974. Next to leave, shortly after the making of this album, was Moore, who had a desire to return to his solo career and perform from a larger repertoire of songs. The split was amicable, and while Paul Brady was recruited to fill the gap in September 1974, Moore stayed on with him in the band until October. After his departure, the Irvine/Moynihan/Brady/O’Flynn line-up toured extensively, but released no recordings before playing their final show in Brussels on 5 December 1975. After the break-up, Moynihan retreated into obscurity, continuing to perform occasionally, but rarely recording. Irvine and Brady toured together as a duo and, in August 1976, recorded an album at the Rockfield Studios, Andy Irvine/Paul Brady, produced by Lunny who also plays on most tracks, and with Kevin Burke on fiddle. For a while, Irvine continued to tour with Brady in Ireland and in the UK, and also with Mick Hanly, predominantly in Europe. In 1978, Brady released a solo album (Welcome Here Kind Stranger) including Irvine, Tommy Peoples and Lunny, who also produced it. The original four members of Planxty, however, continued to encounter each other socially, on the stage, and in the studio. This eventually led to a reunion encouraged by music promoter Kevin Flynn, who would become their manager. They were joined this time by Matt Molloy, who had been a member of The Bothy Band with Lunny and was also a close friend of O'Flynn's. Starting rehearsals at Molloy’s home on Tuesday, 19 September 1978, this line-up would go on a mammoth European tour the following year, from 15 April to 11 June 1979, during which the band played forty-seven concerts in fifty-eight days, in the UK, Germany, Switzerland, Belgium, France and Ireland. 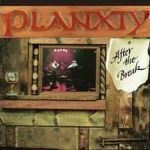 From 18 to 30 June 1979, Planxty recorded their fourth album, After the Break, at the Windmill Lane Studios in Dublin, produced by Lunny and released on the Tara Records label. Molloy would leave the group to join The Chieftains shortly after the album was recorded, and remains with them to this day. In between the Planxty activity, Irvine squeezed in tours in Europe with Lunny, Mick Hanly and Gerry O'Beirne. He also recorded his first solo album, Rainy Sundays... Windy Dreams, at Windmill Lane Studios in late 1979, produced by Dónal Lunny and released on Tara Records in 1980. On 28 February 1980, Planxty headlined the Sense of Ireland concert at the Royal Albert Hall in London. When they returned to Ireland, they recorded two programmes for RTÉ at the Pavilion Theatre in Dún Laoghaire, then started rehearsals at Kilkea Castle in Castledermot, County Kildare with two musicians from County Clare: concertina player Noel Hill and fiddler Tony Linnane. The six-member line-up of Moore, Irvine, Lunny, O’Flynn, Hill and Linnane were joined by Matt Molloy and keyboardist Bill Whelan, to record the band's fifth album, The Woman I Loved So Well, at Windmill Lane Studios over two periods: 23–29 April and 16–19 May. The album was wrapped up with a reception at Windmill Lane Studios on 9 June 1980. The band began touring as a four-piece during the summer of 1980, playing a tour of Italian castles in July and returning to The Boys of Ballisodare festival on 9 August, joined by Whelan and a young Cork fiddler, Nollaig Casey. Shows around this time would feature the four-piece band for the first set, with Whelan and Casey joining in for the second set. This line-up played a week of shows at the Olympia Theatre in Dublin on 18–23 August 1980, taped for a potential live album, which eventually emerged in 1987 as the unlicensed release The Best of Planxty Live. This line-up, augmented by a full orchestra and rhythm section, would also record "Timedance" in 1981 as part of the Eurovision Song Contest; "Timedance" was the genesis for what Whelan would later develop into Riverdance. The six-piece Planxty continued to tour, but began to drift apart. O’Flynn took on a project with Shaun Davey, The Brendan Voyage. Moore & Lunny, eager to experiment with a rhythm section and a different, more political, song set, formed Moving Hearts. Lunny also kept busy producing albums by other artists. The original four-piece line-up played their last show together on 24 August 1982, at the National Stadium in Dublin. Nevertheless, the band (with Whelan and Casey still on board) recorded one final album at Windmill Lane Studios for the WEA label in late October and early November 1982, Words & Music, which also featured contributions from fiddler James Kelly and Moving Hearts bass guitarist Eoghan O’Neill. The divided attention of two bands proved too much and, in early 1983, Lunny and Moore left to concentrate on Moving Hearts. Irvine, O’Flynn and Whelan decided to continue as Planxty, retaining fiddler James Kelly and also recruiting Arty McGlynn of County Tyrone on guitar, plus Galway’s Dolores Keane on vocals and a plethora of traditional instruments. Irvine would later dub this line-up "Planxty-Too-Far", as the personnel and musical focus, now more dominated by Whelan, was far removed from the original Planxty. —Leagues O'Toole, The Humours of Planxty. Although Moore, Irvine, Lunny and O'Flynn would continue to meet from time to time and perform occasionally in various combinations during professional engagements—and even play together as a foursome in the privacy of Moore's house at least once—rumours of putative reunions circulated for over two decades. In late 2002, broadcaster and journalist Leagues O'Toole was working as presenter and researcher for the RTÉ television show No Disco and persuaded the programme editor, Rory Cobbe, to develop a one-off documentary about Planxty. O'Toole proceeded with interviewing Moore, Irvine and O'Flynn but Lunny, who was living in Japan, was unavailable. 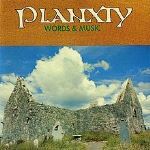 After also shooting links at key landmarks from the Planxty history, the programme aired on 3 March 2003, receiving a phenomenal response from the public and some very positive feedback from the Planxty members themselves. In a final comment about the constant speculation of the original line-up regrouping, Moore had stated, on camera: "There's nobody longs for it more than myself and the other three guys. Definitely the time is right. Let's go for it". On Tuesday, 7 October 2003, O'Toole received a postcard from Moore reading: "There might be something of interest happening on Saturday. I'll be in touch". It turned out that Paddy Doherty, owner of the Royal Spa Hotel in Lisdoonvarna (and co-founder of the Lisdoonvarna Festival), had arranged for the band's use of the hotel's old dining room for rehearsals, which led to a one-off concert there in front of 200 people on 11 October 2003. Moore, on stage, credited the No Disco documentary with inspiring the reunion. Pleased with the results and the experience of playing together again, the original Planxty quartet agreed to the longed-for reunion (dubbed "The Third Coming") and would perform together again, on and off, for a period of just over a year. 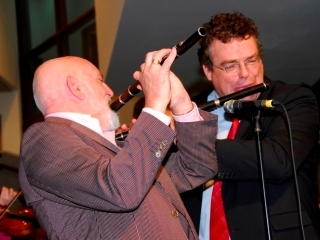 Na Píobairí Uilleann (The Society of Uilleann Pipers) announces the death of its Honorary President Liam O'Flynn. During his life Liam was a great ambassador for Irish traditional music throughout Ireland and around the world. Liam was a wonderful musician, as a solo uilleann piper and as a member of Planxty in the 1970s and 1980s. Liam's collaborations with Seán Davey included performing in the suite of music The Brendan Voyage and other pioneering orchestral works created to feature the uilleann pipes. His performances with such artists as Kate Bush, Emmylou Harris, and Mark Knopfler brought his music and uilleann piping to worldwide audiences. Liam's collaboration with poet the Nobel Prize-winning poet Seamus Heaney united two of Ireland's artistic giants. From a musical family in County Kildare, Liam learned the pipes with Leo Rowsome at the School of Music in Dublin, and was also greatly influenced by the playing of legendary pipers Willie Clancy and Séamus Ennis. He has been an inspiration to generations of pipers, with his tuition, performances, and solo recordings being a great source of repertoire for emerging players. Liam was a founding member of Na Píobairí Uilleann, having attended and performed at the first gathering of the organisation in Bettystown, County Meath, in 1968. Na Píobairí Uilleann extends its sympathies to Liam's wife Jane and to his extended family. Ar dheis Dé go raibh a anam uasal. First, they played a series of concerts at the Glór Theatre in Ennis, County Clare (on 23 & 24 January 2004) and at Vicar Street in Dublin (on 30 & 31 January and on 4 & 5, 11 & 12 February 2004), which were recorded and from which selected material was released on the CD Live 2004 and its associated DVD. Barbican Centre in London (29, 30 and 31 January 2005). Planxty remained a four-piece throughout this period, with Moore occasionally playing keyboards. 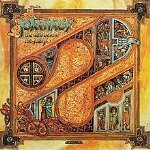 Since then, there has been no further activity; Moore has said he would not participate in another reunion, but gave his blessing to the others for their future use of the Planxty name. Leagues O'Toole documented the history and development of the group in the biography The Humours of Planxty, which was published by Hodder Headline in 2006. Friday, 20 January 2012 ushered in the inaugural gig, at Dublin's Vicar Street, of a quartet including three members of the original Planxty, calling themselves 'LAPD', after the initials of their first names: Liam O'Flynn, Andy Irvine, Paddy Glackin, and Dónal Lunny. 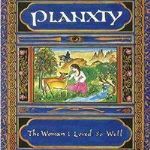 Planxty: "Jenny's Wedding/The Virginia/Garrett Barry's", "Paddy Canny's" ("The Starting Gate"), "The Jolly Beggar/The Wise Maid", "Arthur MacBride", "As I Roved Out (Andy)", "The Blacksmith/Blacksmithereens" and "West Coast of Clare"
Irvine & Lunny: "My Heart's tonight in Ireland/West Clare Reel", "Braes of Moneymore", "Suleiman's Kopanitsa", "The Dream/Indiana", "O'Donoghue's" and "Siún Ni Dhuibhir"
O'Flynn & Glackin: "Kitty's Rambles/Humours of Ennistymon", "The Green Island/Bantry Hornpipe", "Young Tom Ennis/Nora Crean", "A Rainy Day/The Shaskeen", "Two Flings", "Speed the Plough/Colonel Fraser" and "The Gold Ring". LAPD performed only occasionally, to rave reviews, but never recorded before their final performance, which took place at Sligo Live, on Saturday 26 October 2013. When O'Flynn resigned from LAPD, Irvine, Lunny and Glackin were joined by Michael McGoldrick and John Doyle to form a new group named Usher's Island (a reference to the Dublin quay). "Planxty" was a word used by people who named works by harper Turlough O'Carolan after his death, and is believed to denote a tribute to a particular person: "Planxty Irwin," for example, would be in honor of Colonel John Irwin of Sligo. 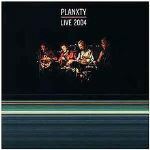 "Planxty" is thought to be a corruption of the Irish word and popular toast "sláinte", meaning "good health." Another possible explanation is that it is derived from the Latin planctus, a medieval lament. Regardless of its origin, the moniker, which replaced the provisional "CLAD" (Christy – Liam – Andy – Dónal), turned out to be a good fit, as O'Carolan's music would play an important part in the band's repertoire. (see "Influences", below). A formative influence on Planxty, and in particular on Moore, was the singing of Irish Traveller John "Jacko" Reilly who hailed from Boyle, Co. Roscommon. It was from Reilly that Moore learned "Raggle Taggle Gypsy", which was recorded for the first Planxty album, in addition to "The Well Below the Valley," which appeared on The Well Below the Valley. Moore later dipped into Reilly's songbook again for an updated version of the lengthy ballad "Lord Baker," which was featured on Planxty's 1983 album Words & Music. ("Baker" appears to be a mondegreen for the "Beichan" of earlier versions.) Reilly died in 1969 at the age of 44, shortly after being found beneath his coats in the top room of his dwelling in Boyle by Tom Munnelly, who had originally collected his songs for archiving. 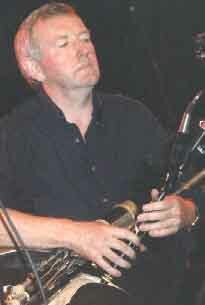 The music of Turlough O'Carolan appeared on a number of Planxty albums (including the B-side of their very first single), played by O'Flynn on the pipes. Much of this music first came to the attention of the band through the work of seminal Irish composer Seán Ó Riada and his group Ceoltóirí Chualann. From Wikipedia, the free encyclopedia [en.wikipedia.org/wiki/Planxty]. Wikipedia® is a registered trademark of the Wikimedia Foundation, Inc., a non-profit organization. Photo Credits: (1)-(2) Planxty, (5) Donal Lunny, (7ff) LP covers (unknown/website); (3) Christy Moore, (7) Liam O'Flynn (by The Mollis); (4) Andy Irvine (by Walkin' Tom); (6) Matt Molloy (by Seán Laffey).